If there's one thing I enjoyed about Chicago, it was the cultural-diversity which manifested itself in the wide array of food choices. And yesterday was the day I sampled food from Chicago's ethnically-diverse neighborhoods. First stop for the day was Devon Avenue, a former Jewish community which now plays host to Chicago's Indian & Pakistani communities. Available there are various cuisines from all over India and Pakistan, and even Afghanistan! I still saw some Jewish establishments but not as much as Indian and Pakistani restaurants. Try entering a supermarket and the distinct smell of spices fill the air. Mangoes are a popular fruit in the area, mostly Indian. But they sell "Manila" mangoes which are ironically grown in Mexico and elsewhere. I wonder when we could export our luscious Guimaras mangoes to the U.S. because the "Manila" mangoes are a far-cry from what we have here in the Philippines. 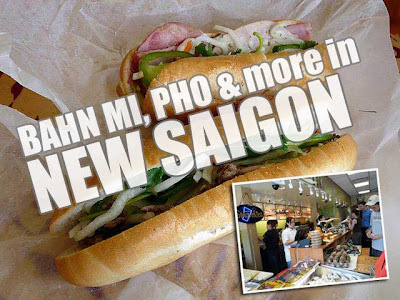 From there we proceeded to New Saigon, a small Vietnamese area to sample the bahn mi sandwiches at the Ba Le Bakery. We also walked to the local Asian supermarket to get some dried jackfruit chips but we also saw some Philippine products as well. Another tasty surprise was the crunchy dried durian which was really good! 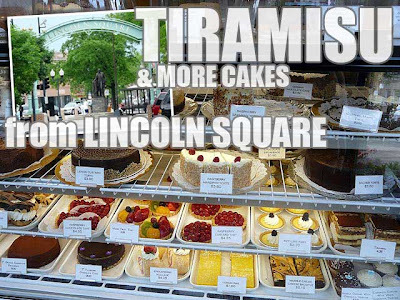 Shortly before lunch, we proceeded to Lincoln Square, the former German community, to sample the tiramisu cakes which is a specialty of Cafe Selmarie. 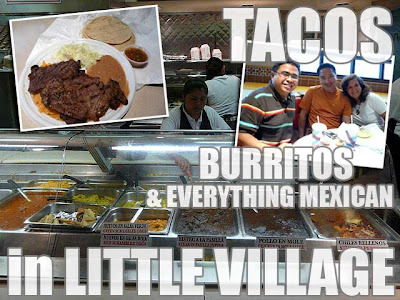 We made a quick drive around Andersonville (Swedish) and Greek Town (if we had more time, I would have wanted to sample the Greek food), before proceeding to Little Village, the Mexican community for a late lunch at Taqueria El Milagro. The grilled beef and tortillas was a filling treat! 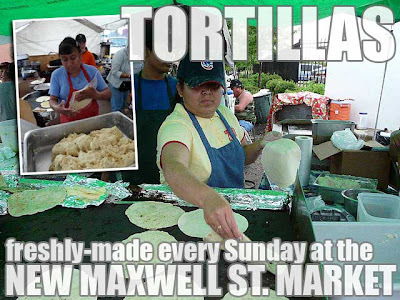 We proceeded to the New Maxwell Street Sunday Market to get more Mexican tortillas were they are freshly-made right in front of you. We made a quick drive around Chinatown proceeding to the Adler Planetarium area by Lake Michigan where one can find the best views of the Chicago skyline. 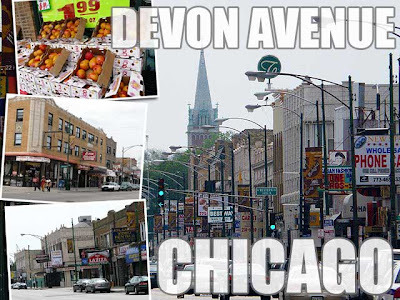 More from Chinatown and Chicago's other neighborhoods in the next posts. Thanks to Ron Salazar and Padma Siap for taking me around and back to DeKalb! You should have also went to Argyle, which is home to many Filipino stores!! We did! Hehe! But I can always have Filipino food in the Philippines. When I'm out of the country, I make an effort try something new. I wouldn't refer to Lincoln Square as a former German Community. 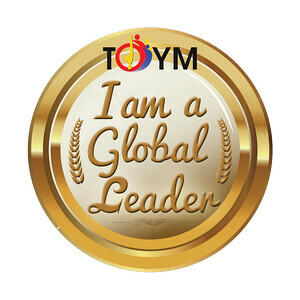 Many German Festivals and other German related businesses. Lots of other places within walking distance.